This is the Cub Scouts Pack 99 Website! We want all Scouts, Parents and Leaders to find the answers to their questions about activities, advancement, meetings and overall Scouting here....let us know what you are looking for and we will "Do Our Best" to add it to the site! Currently, Cub Scouting is the largest of the BSA's three membership divisions (the others are Boy Scouting and Venturing), with programs designed for boys of elementary school age. Cub Scouting members join a Cub Scout pack and are assigned to a den, usually a neighborhood group of six to eight boys. Tiger Cubs (first-graders), Wolf Cub Scouts (second graders), Bear Cub Scouts (third graders), and Webelos Scouts (fourth and fifth graders) meet weekly. All new scouts are required to complete this application. The Registration Fee for joining Pack 99 is $44 and this goes to the Boy Scouts of America. Den dues are only $10 per month, payable to Pack 99. 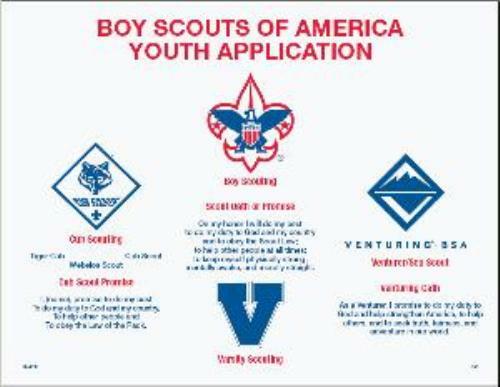 Since Pack 99 charter begins in December, new Cub Scouts may pay a prorated application fee depending on when they register after September. For questions about completing the application, or about the Cub Scout Program, click on Contact Our Pack (above). Weekly Den meetings are held every Monday September through May at 5:30 pm at the Youth Building of the First United Methodist Church, Pensacola. The adventure starts with Cub Scouting, a year-round family program designed for boys in the 1st through 5th grades, or 7 to 10 years of age. The program emphasizes shared leadership, learning about the community, family understanding, character development, citizenship training and personal fitness.